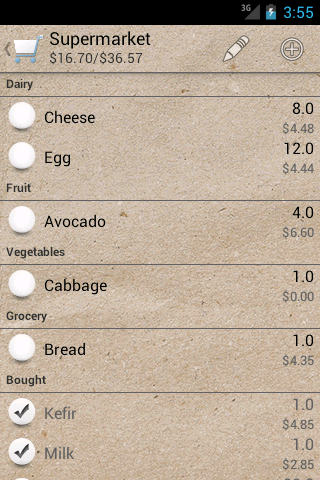 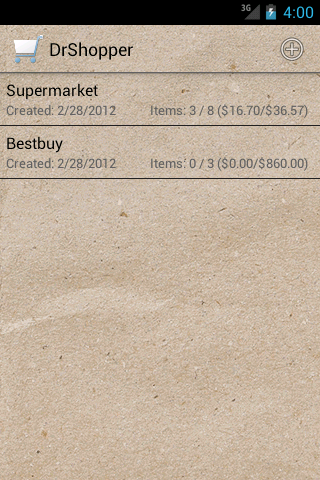 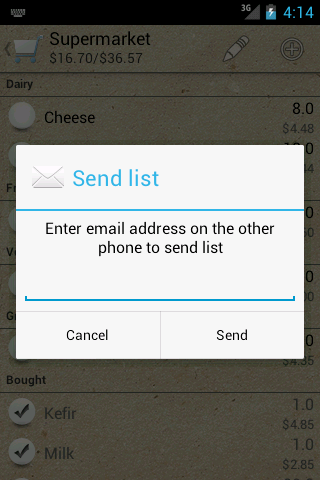 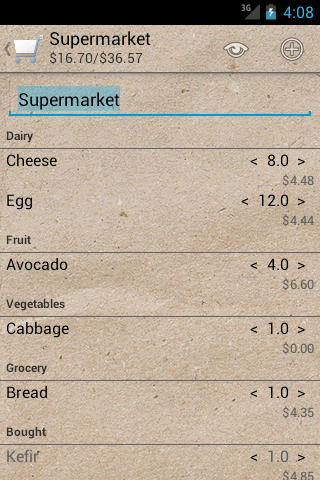 DrShopper is a very simple and easy to use shopping list. 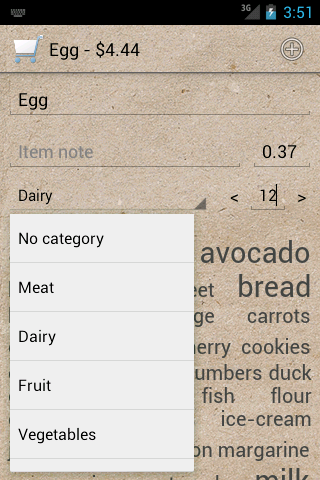 Using the edit mode of the shopping list You can add/remove the items, easy change the quantity of the items: You can add a lot of items to the list. 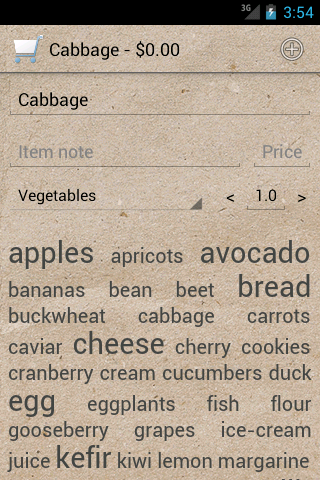 Just select an item from names cloud, tap + button and repeate: If You first time enter the name of the item, You must, of course, type the name completely.